In a market often crowded with midsize sedans, two vehicles continue to rise to the top of their class by offering performance-inspired engineering and the type of style and innovation often reserved for higher-end models: the 2018 VW Passat and 2018 Toyota Camry. At Volkswagen SouthTowne, we’re dedicated to empowering drivers throughout West Valley, Murray City, and Orem, UT, by providing useful information on our full line of Volkswagen models. To help you determine which vehicle is the better choice for you, continue reading our Volkswagen Passat vs. Camry comparison review! Engineered to provide the type of pinpoint maneuverability and smooth handling you expect in a VW, the 2018 VW Passat provides seven unique trim levels to satisfy your individual style and preferences. The base S trim is equipped with a 2.0-liter four-cylinder TSI engine that delivers 174 horsepower, while higher trims provide a 3.6-liter V6 engine that packs a dynamic 280 horsepower. The VW Passat DSG automatic transmission provides quiet and effortless acceleration whether traveling at highway speeds or around a steep mountain pass. Available paddle shifters located behind the steering wheel allow drivers the ability to quickly shift without taking their hands off the wheel. This, paired with electronic stability control that includes Sport mode and Tiptronic®, results in an ultra-smooth and responsive ride. Meanwhile, the 2018 Camry offers three distinct trim levels offering multiple four-cylinder and V6 engine options, all controlled via an eight-speed electronically controlled automatic transmission with intelligence. Standard features like Electric Power Steering and front and rear anti-vibration sub-frames offer greater control, while softening harsh bumps and vibration caused by rough roadways. Step inside the Volkswagen Passat interior and the first thing you’ll notice is its upscale cabin with elegant wood-textured trim and refined aluminum accents. Perfect for active families, its interior provides loads of head- and legroom along with 15.9 cubic feet of trunk space, rivaling larger sedan models. Available features like heated front and rear seats, along with Climatronic® dual-zone automatic climate control, is perfect for those chilly morning commutes. Plus, advanced features like Volkswagen Car-Net® App-Connect, which connects to all your favorite apps and streaming services, is an available feature. While both models exceed in providing drivers with reliable performance, comfortable seating, and space and innovative tech, the clear winner in the VW Passat vs. Camry comparison is the 2018 VW Passat. 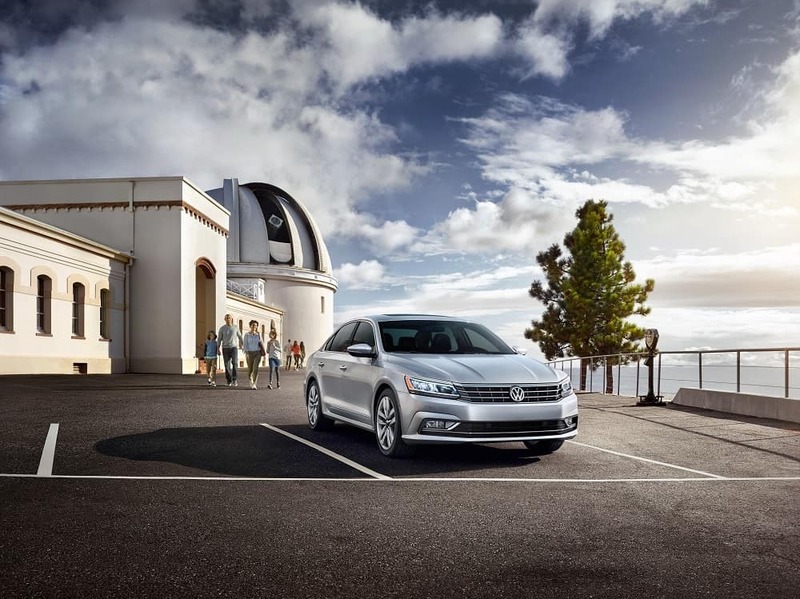 If you’re a driver near West Valley, Murray City, or Orem interested in taking a closer look, stop by Volkswagen SouthTowne or go online to schedule a test drive today!